After taking the world by storm in 2004 with cult hit Napoleon Dynamite, writer-director Jared Hess's subsequent releases have failed to hit the same comic marks. The latest disappointment is Don Verdean which sees Hess and co-writer Jerusha Hess team-up with Sam Rockwell, Danny McBride, Amy Ryan, and Jermaine Clement. Don Verdean (Rockwell) is a dubiously accredited biblical archaeologist operating from his trailer in the USA. After being hired by a local pastor (McBride) to find artefacts to entice worshippers back into his church, Don finds himself entangled in complications when he goes to the Holy Land in search of the head of Goliath. There is a real sense of Don Verdean trying too hard to be a cult hit. The opening gets things off to what appears to be a fantastic start, when we see Don present a self-made video of his company, packed with a sleazy eighties marketing cheapness - the quirky, amusing tone of Hess's film feels quickly established. Meetings with McBride's pastor and his ex-prostitute wife (Leslie Bibb) provide a solid amount of laughs with Don appearing like a devout Christian Indiana Jones in comparison. However, as the narrative progresses and we see Don and his PA turned Chief Research Assistant Carol (Amy Ryan) venture to the Holy Land in search of artefacts - proceedings become more elaborate and contrived, landing in cheap action-comedy territory. The quirky, low-key vibe of Don Verdean is scratched in favour of over-the-top plotting from car chases to shoot-outs and contrived romances and lazy plot twists. The latter half also gives precedence to Jemaine Clement's Boaz (Don's Holy Land colleague) which proves to be a fatal mistake. The comedic tone switches from quirky awkwardness to a comedy that relies purely on Clement saying things in a thick Israeli accent - which reads like a cheap Borat impression. Promoting a character that is amusing only in small doses to the main secondary player is a huge misstep for Don Verdean. There are treats to enjoy scattered throughout Don Verdean, however. A musical number about marital submissiveness and Lot's wife from Leslie Bibb is amusing, whilst Danny McBride gets enough religion centred one-liners to impress. Will Forte's former-satanic priest turned Christian pastor proves to be a great comic tool, and Amy Ryan is the film's most emotionally evocative dramatic player. 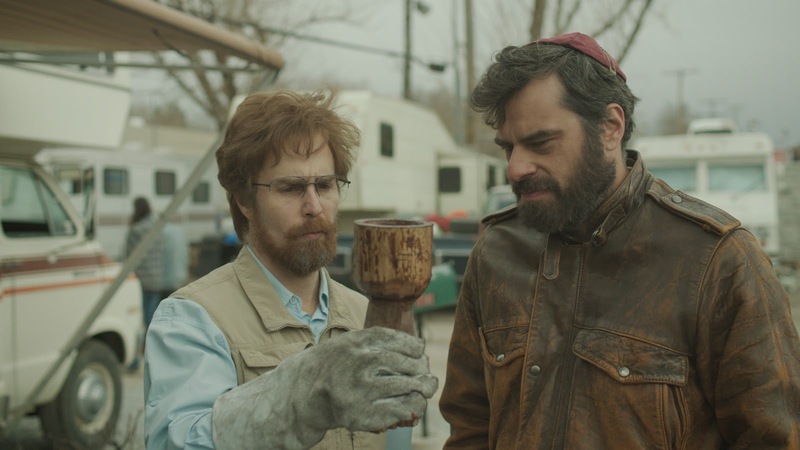 Despite promise in its early stages, Don Verdean loses its footing through contrived, over-the-top plotting and misguided characterisation in the case of Clement's Boaz.